Since 1998, Chef Rosie has operated Bent On Cooking, a premier personal chef service. Culinary magic has always driven Rosie, as her family not only enjoyed cooking, it was their passion. Considered an art form, her mother and aunts nurtured a philosophy that to cook and to eat was a serious matter, and with the help of her produce broker Grandfather, Rosie’s culinary education was based on a motto of Only the Finest. The daughter of a successful businessman, her father guided Rosie to understand the key elements of business and she began her cooking career by running the kitchen in the family owned cocktail lounge. This early experience, with her father’s guidance laid the foundation for her uncanny ability to balance the creative side of being a chef with the savvy of running a company. With her signature smile, Rosie will tell you it was the greatest lesson she ever learned. Rosie capitalized on this life experience and put herself through college while polishing her culinary mastery. With her complete education in place, Rosie procured her first professional chef position at a retreat house in the Santa Cruz mountains where she taught cooking classes. 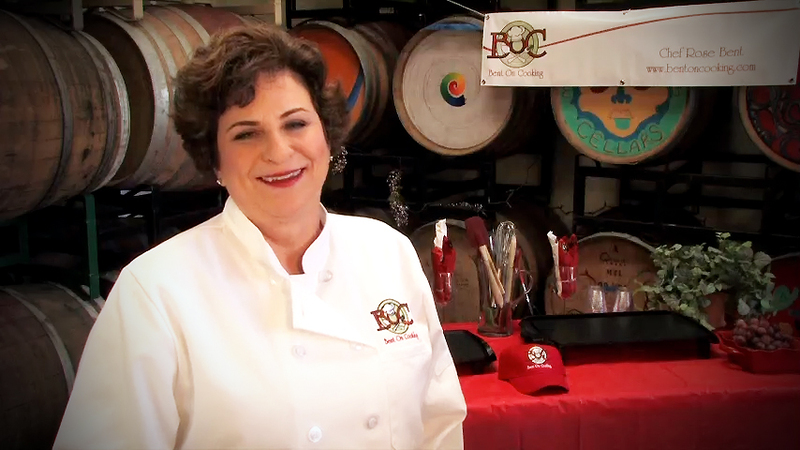 Chef Rosie’s success as a premier provider of catering service in San Diego can be traced back to her humble beginning when she was providing cooking classes. Her first students were 12 Catholic nuns; she taught them how to prepare breakfast, lunch, snacks, and dinner. Though life took her on a journey that caused her to wander off the culinary path, she eventually embraced the call of her destiny and returned to her passion. As her mother and aunt aged and could no longer cook for themselves, Rosie began preparing ready to eat individual meals. During this labor of love, Bent On Cooking was born. Since 1998, Rosie’s Bent On Cooking has been delivering quality catered food suitable for nearly any type of event and client. Each and every client of Chef Rosie receives the same love and fresh ingredients as her mother and aunt. Today, Chef Rosie has become highly recognized personal chef serving customers in San Diego and its surrounding areas in California. She has been a proud member of the American Personal Chef Association.